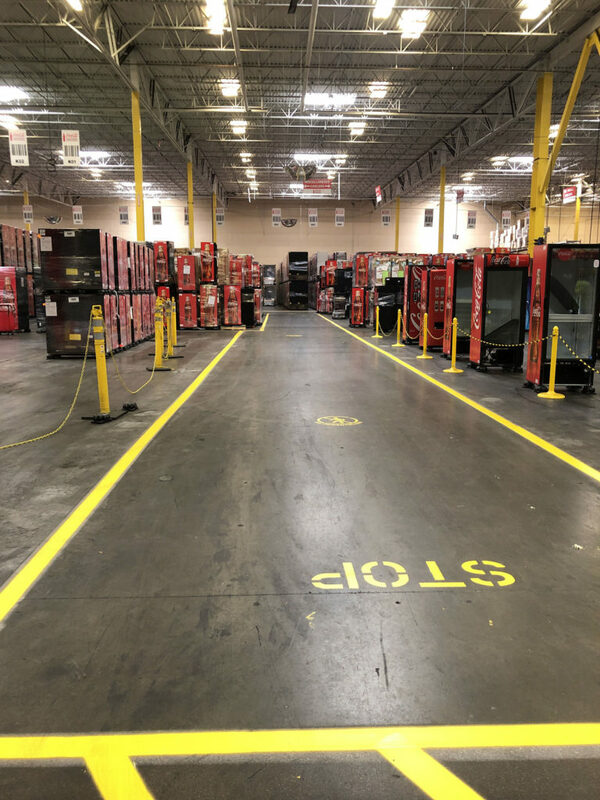 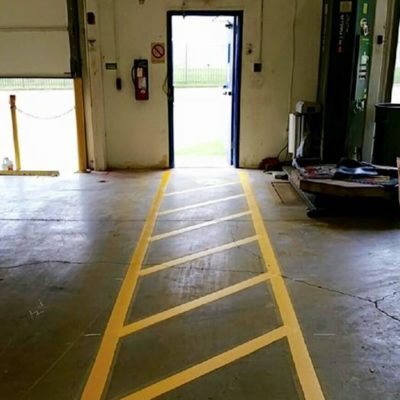 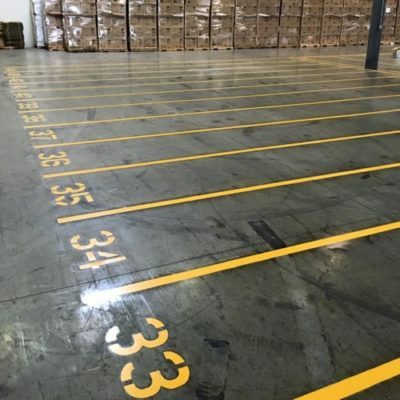 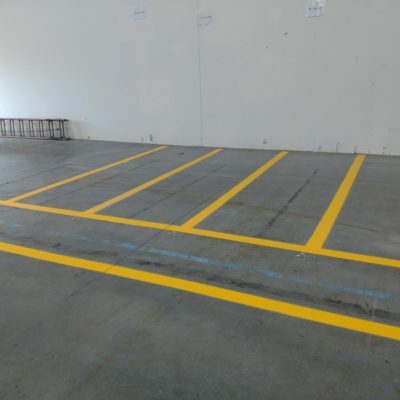 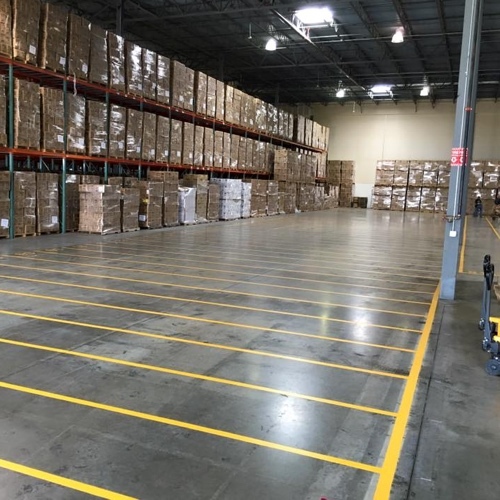 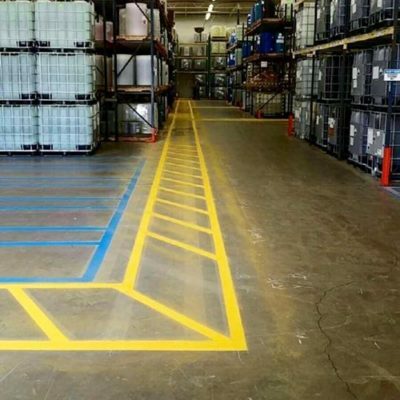 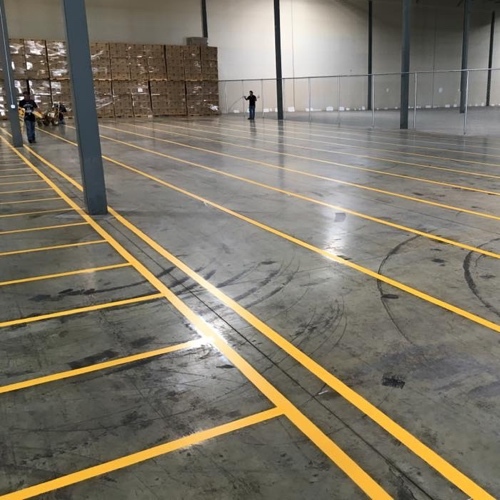 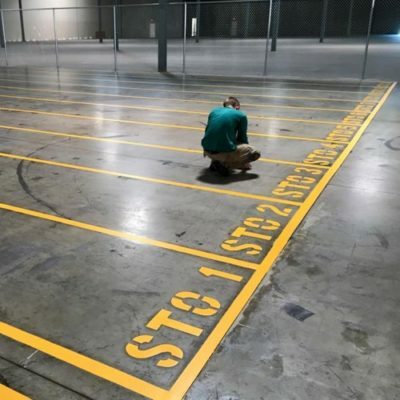 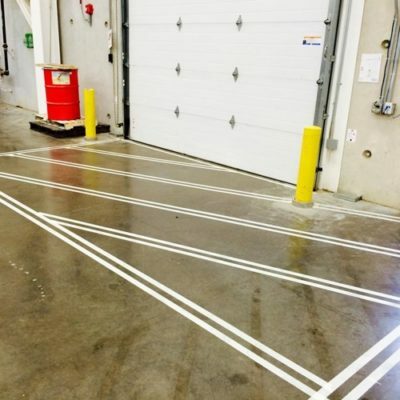 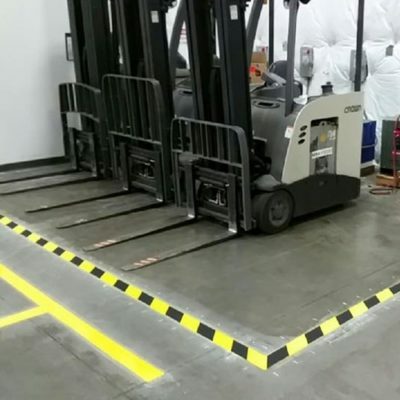 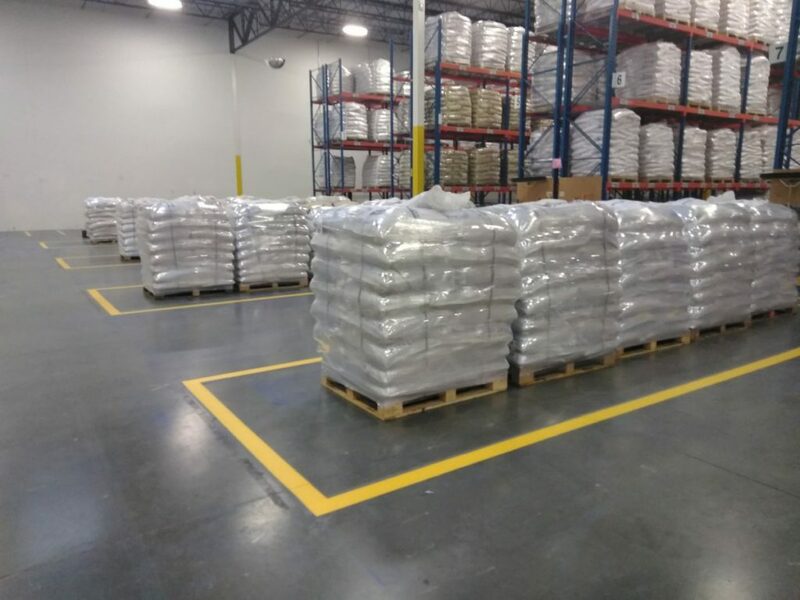 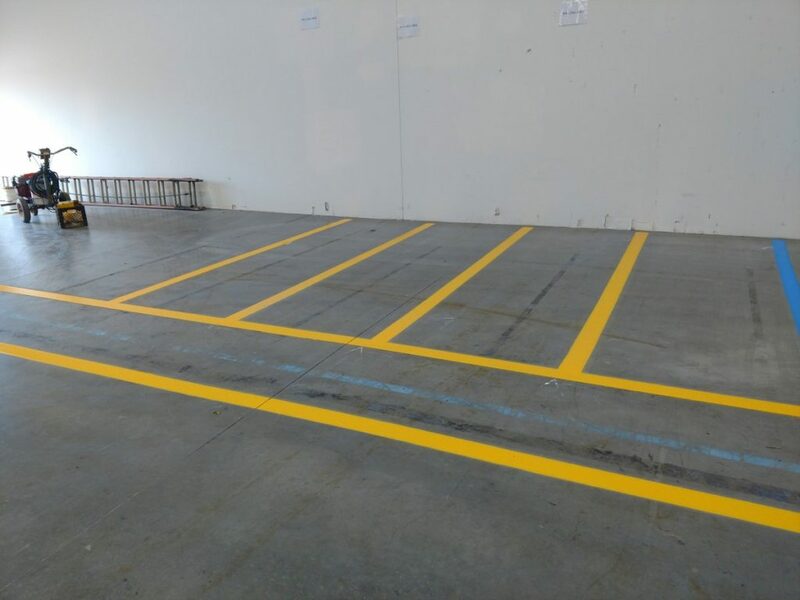 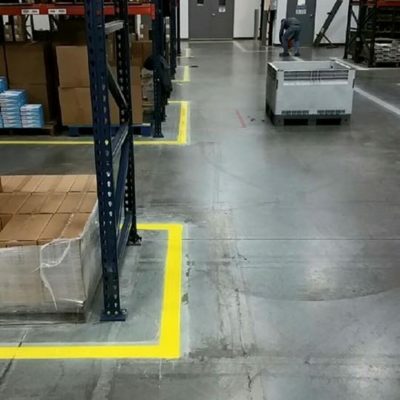 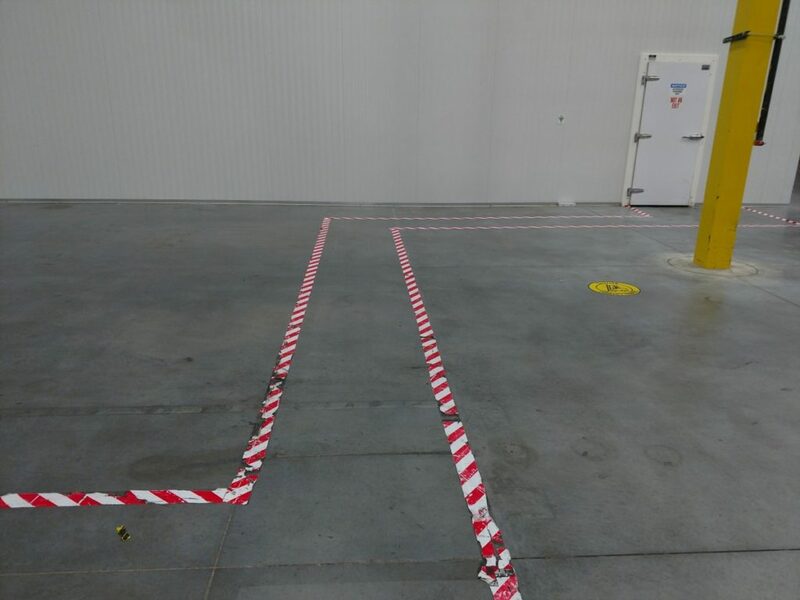 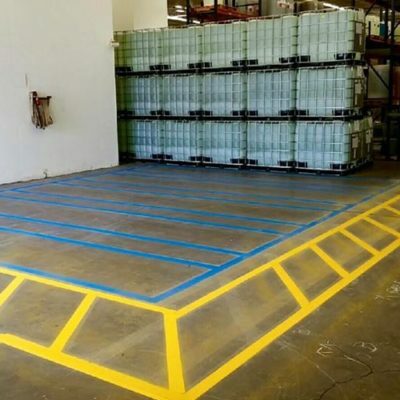 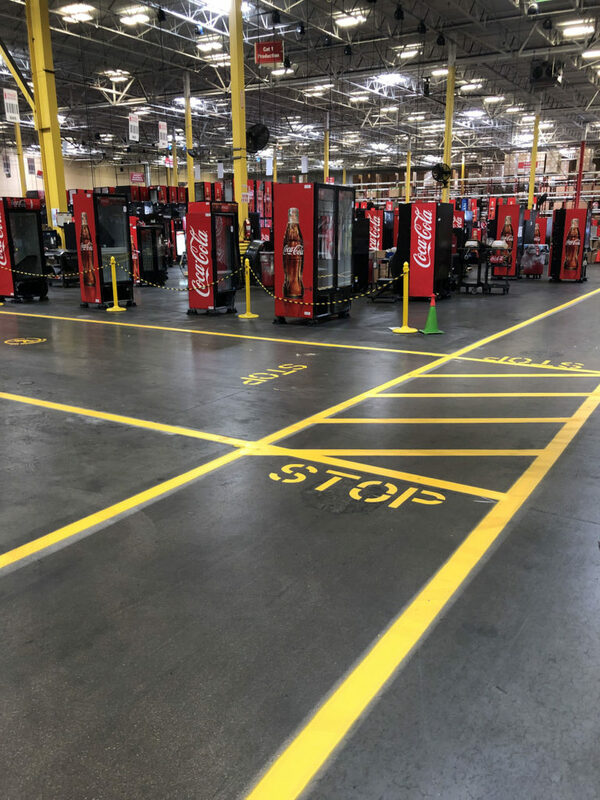 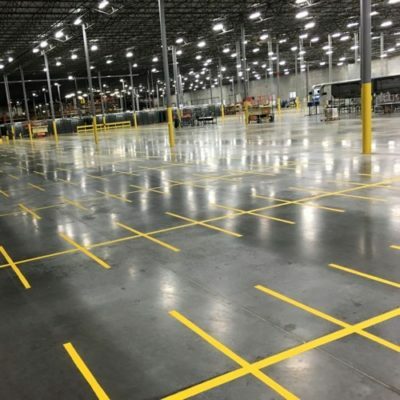 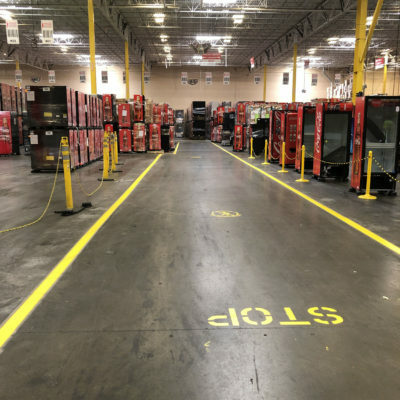 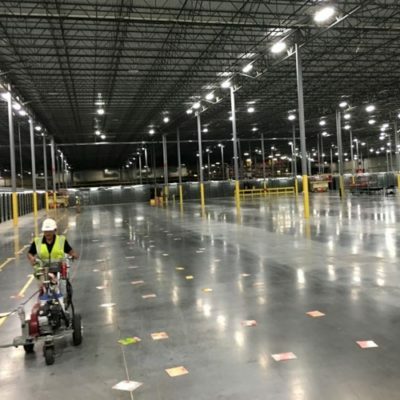 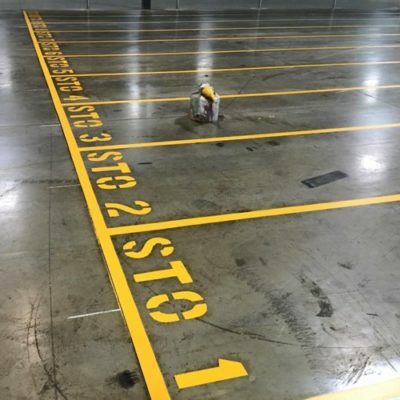 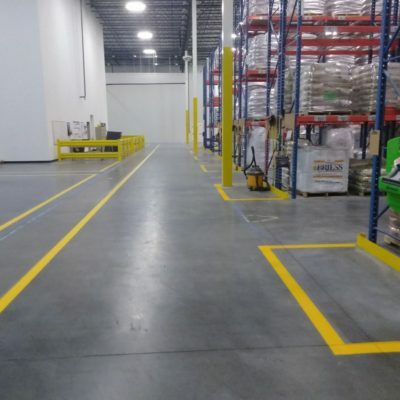 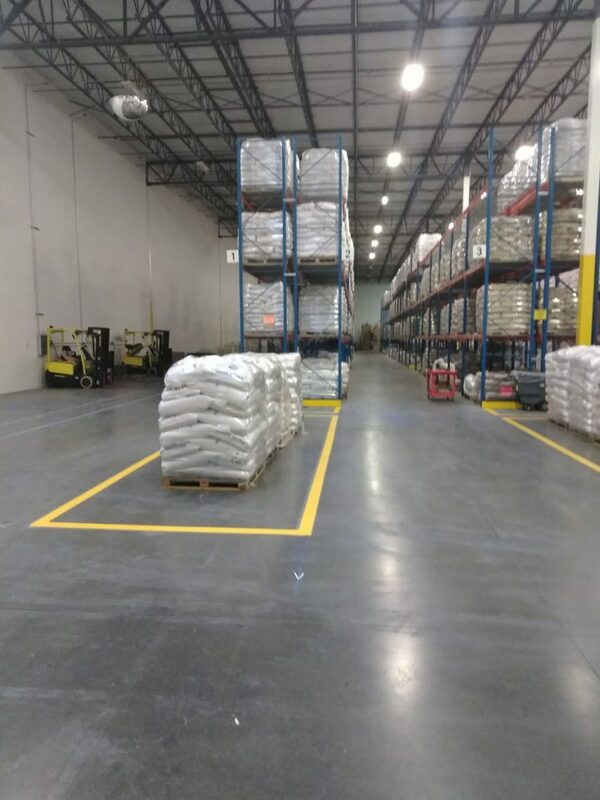 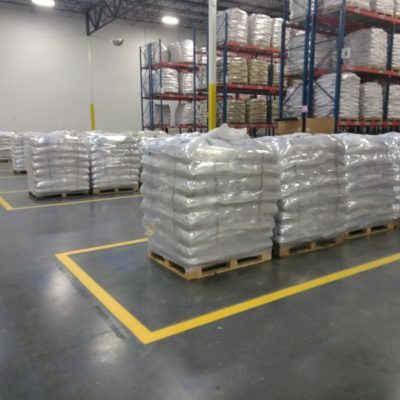 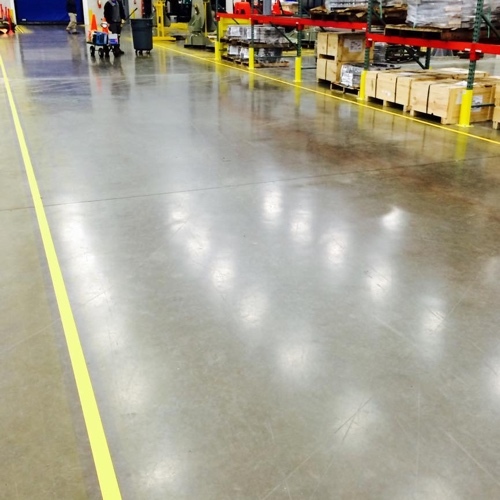 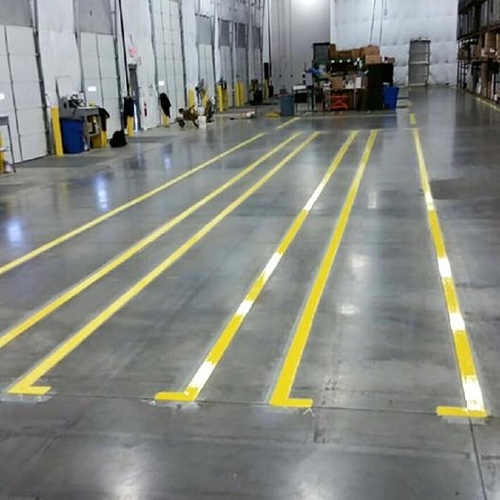 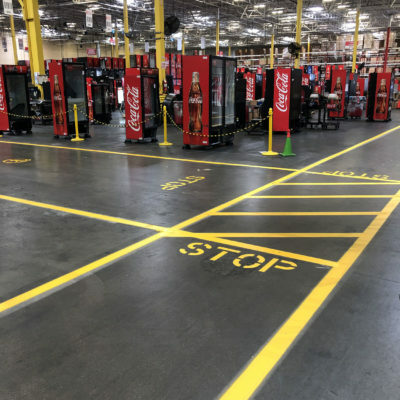 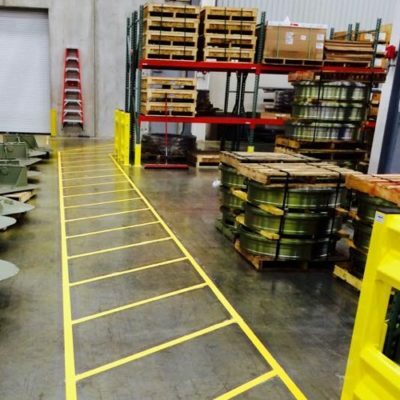 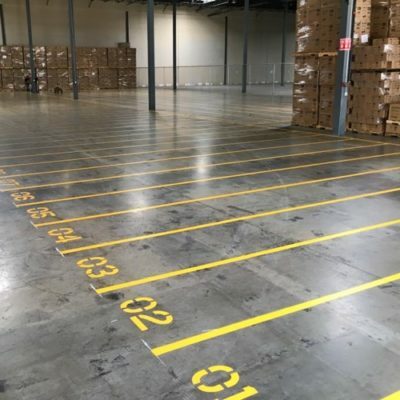 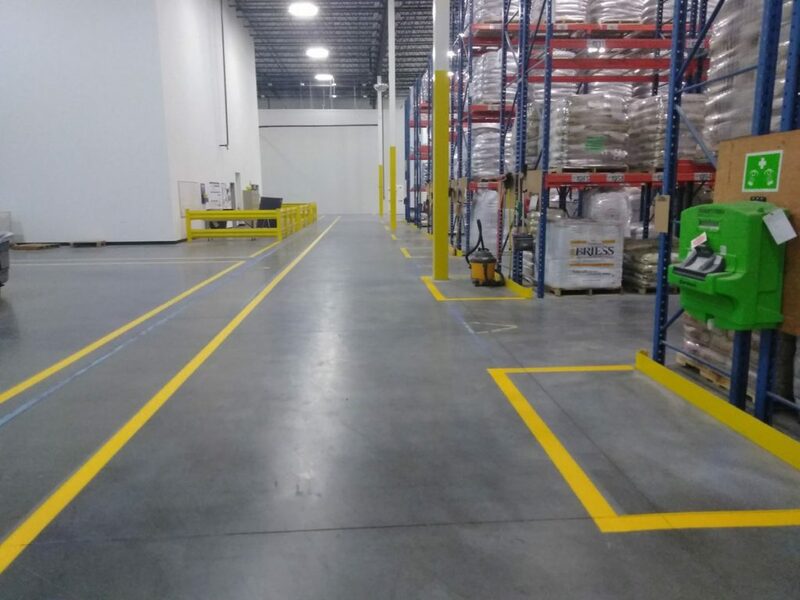 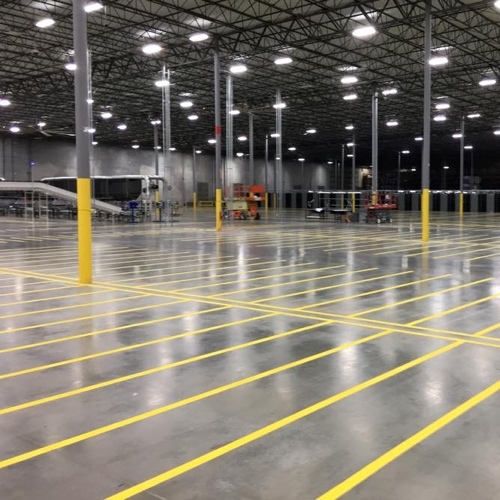 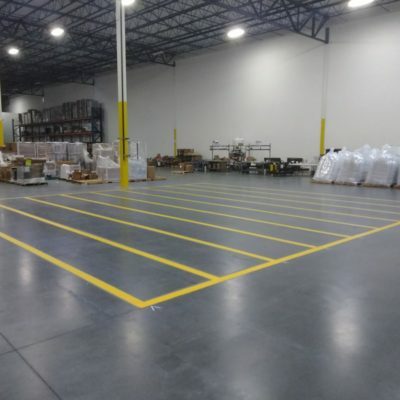 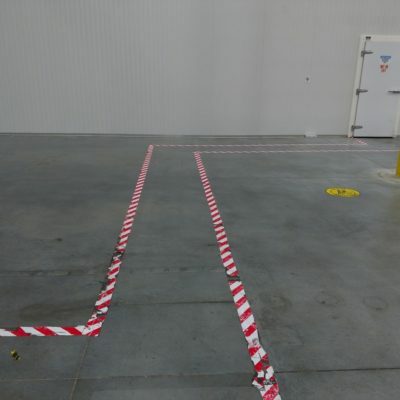 Our warehouse striping can improve your ability to maximize and organize surface square footage for staging and storage, while increasing employee efficiency and safety. 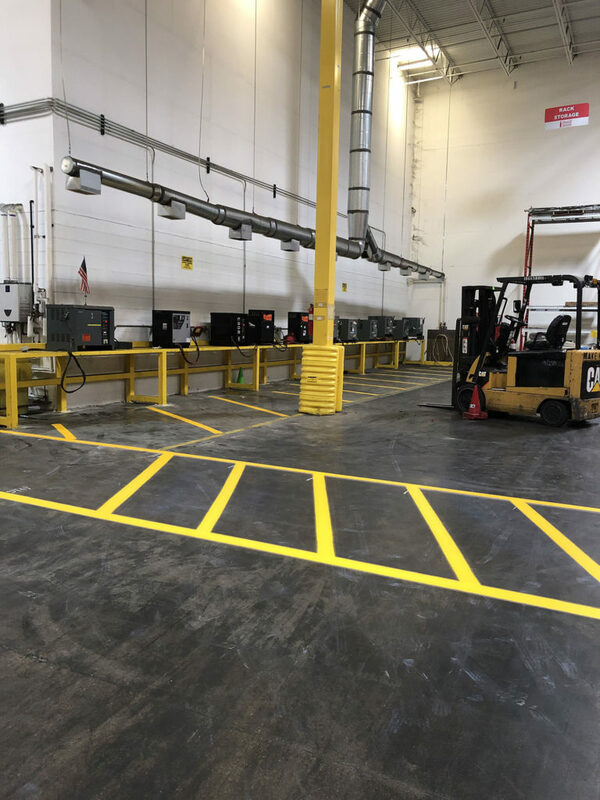 We maintain multiple crews so that we can tackle several projects at the same time or surge to complete your project on a short timeline. 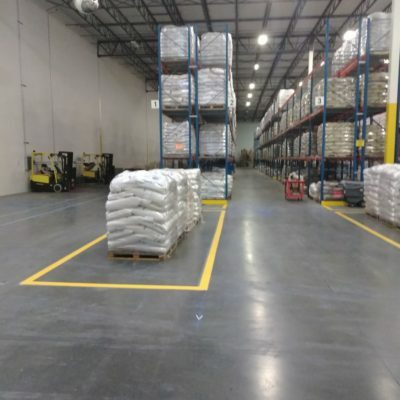 We work will all jobs and all budgets, large or small. 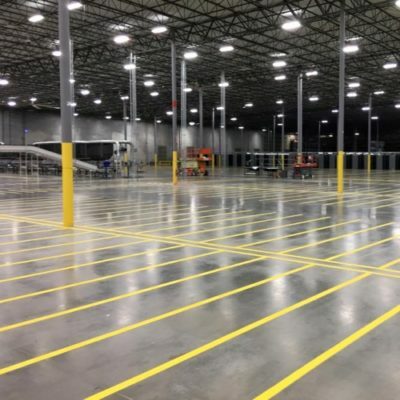 We have striped warehouses for government buildings, large corporations, and several others. If you are in need of a warehouse marking company, please contact us for a free quote. 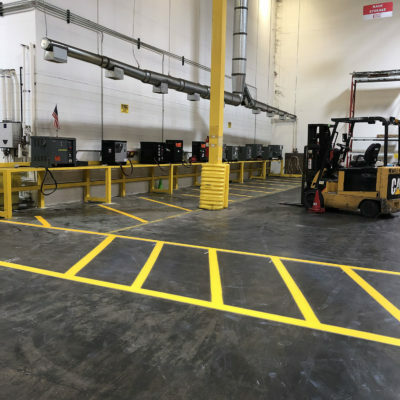 A member of our team will schedule a time to come out and meet you to learn about your project. 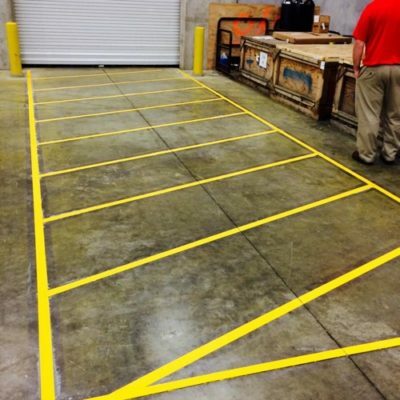 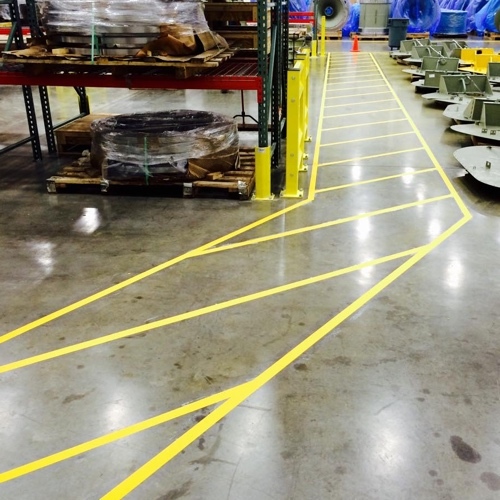 We have striped and stenciled are types of warehouses, from airplane hangars to large industrial corporations. 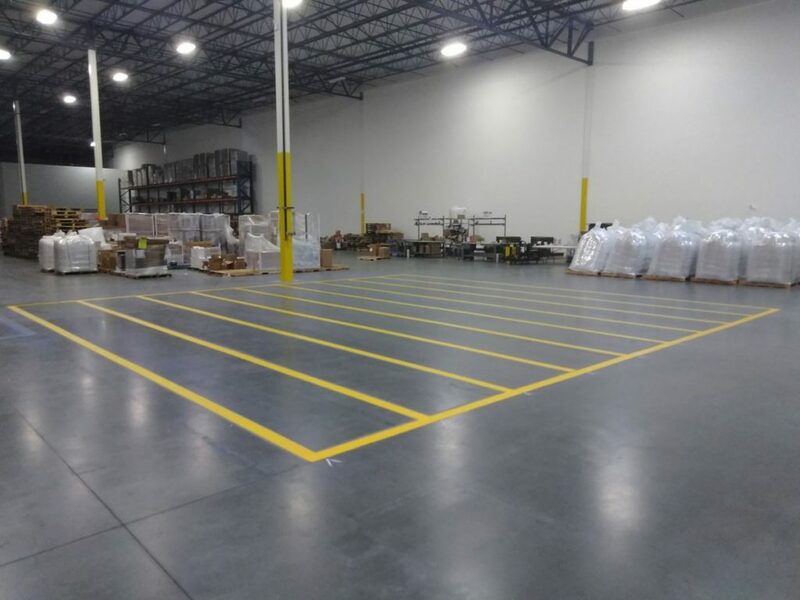 Below are some photos of our past projects.